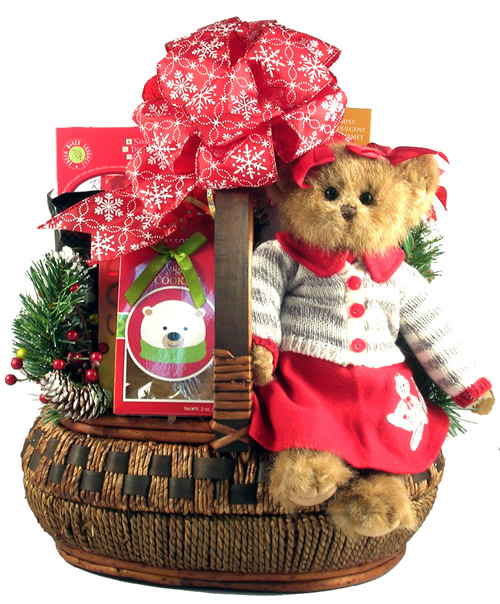 This very special gift basket features an adorable collectable plush bear from the Bearington collection. She is 14” of sheer cuteness! 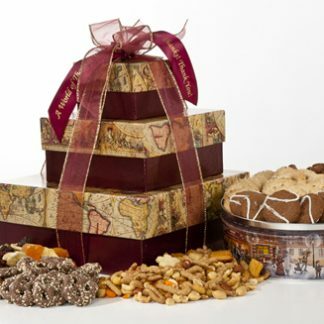 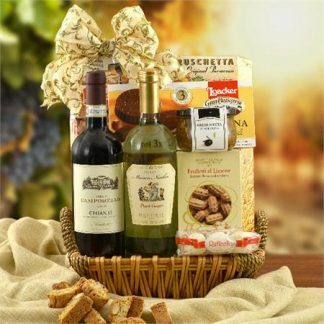 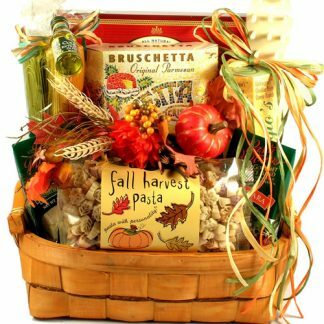 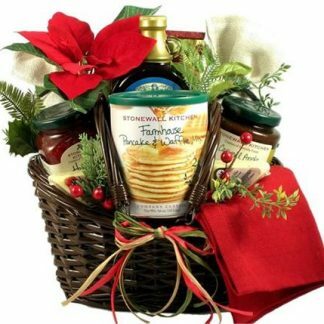 Also included in this special gift is a host of some of our most sought after holiday favorites! 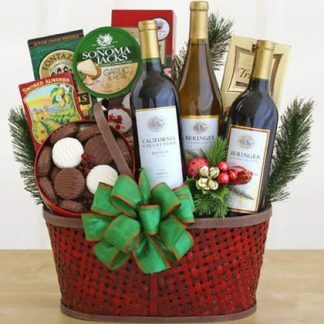 They will be bearing impressed with this gift! 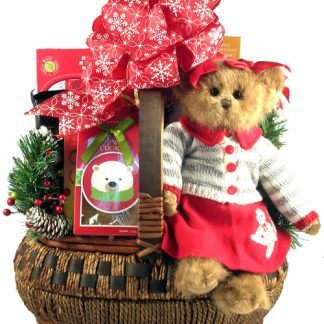 It is a wonderful way to wish them a Beary Merry Christmas!This Gift Basket Includes:Cindy Socks 14″ Plush Bearington Bear OriginalHoliday Sugar CookiesAssorted Godiva TrufflesPeppermint BarkGrasshopper Mint BiscottiChocolate Toffee BiscottiRed Velvet Dessert CookiesChocolate Filled Wafer CookiesCaramel Cheesecake Dessert CookiesChocolate Bar CookiesCranberry White Chocolate Super Chunk CookiesMilk Chocolate Smothered GrahamsChocolate Covered Cherries in an Elegant Gift BoxCherries and Almonds in Dark Chocolate BarFruit and Nuts in Dark Chocolate Holiday Greetings Bar Chocolate Nut Medley All of these gourmet goodies and Cindy Socks will all arrive arranged just as you see them, with a big bow to match.